Bun B, along with his late great partner Pimp C, are music industry legends. With their group UGK, they are pioneers of Hip Hop from the South, often referred to as the ‘true King of the South’. His collaborations with Jay-Z (on the classic ‘Big Pimpin’), Lil Wayne, 2pac & others are legendary. An articulate industry leader, Bun has been a college professor, label owner & developer of major league talent. 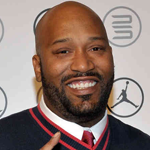 Bun B will be honored in this year’s IES HIP HOP HONORS.